The cosmetics brand will drop it in 2018. Aaliyah on the cover of The FADER's 54th issue in 2008. Two years ago, fans of the late Aaliyah came together for a petition requesting that M.A.C. create a collection to honor the legacy of the '90s R&B icon. In 2018, this wish will finally become a reality. The cosmetics brand recently announced that it is moving forward with a limited edition Aaliyah for M.A.C. collection to be released next summer. Catherine Bomboy Dougherty, M.A.C. 's Senior Vice President of Global Communications, told Fashionista that Aaliyah's devoted fans are fully responsible for making this collection happen. "There is a certain something about each of our collaborators that inspires M.A.C.— with Aaliyah it was the incredible passion from her fans that was everywhere we turned. We admire Aaliyah because she was a not only an exceptionally talented artist, but a risk-taker and innovator who still influences the worlds of music, fashion and beauty. She continues to be a role model whose legacy inspires us all to follow our hearts. We are honored the family trusted MAC to bring Aaliyah and her fans' vision to life. We made a lot of people really happy today and that feels good." At the time when the petition was originally created, Aaliyah's brother, Rashad Haughton, was reportedly on board with making a collection because she was a fan of the brand's products. M.A.C. hasn't revealed any details about who will be involved with the collection or what pieces will be included in it, but fans can probably expect the rollout to be similar to the 2016 collection inspired by the late Selena Quintanilla. 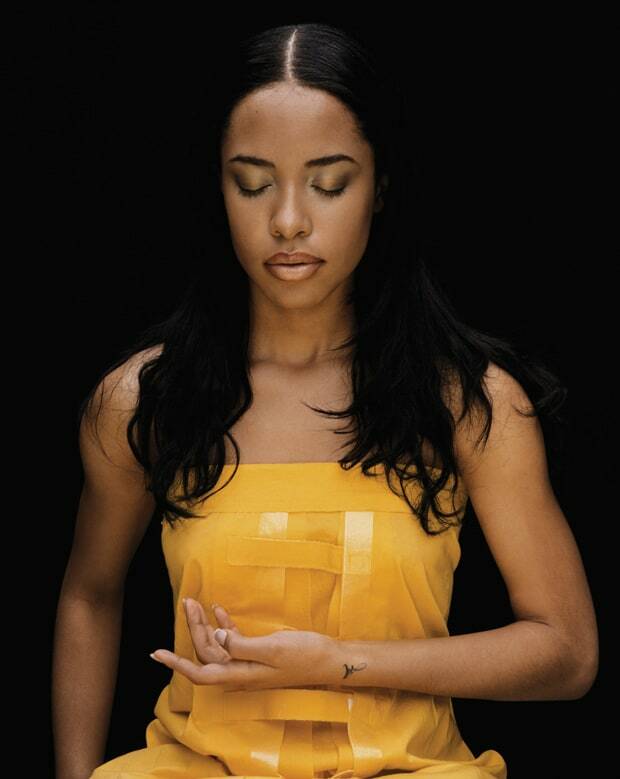 Revisit the testaments to Aaliyah's memory from The FADER's Icon Issue. Copies of Baby Girl's cover are available to purchase on The FADER Shop.